Our company has created niche in the field of offering Display Hangers to the clients. Offered range is available with professionals in different sizes as per the particular requirements of esteemed clients. These products are designed by professional is tested at each and every stage of developments. 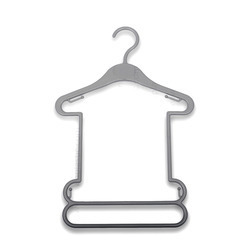 Display Hangers offered in various colors and shapes. Display Hangers are tested by the quality norms before the delivery. 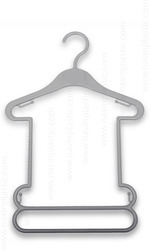 Our company has earned accolades in offering Chudidar Hangers to the clients. Chudidar Hangers are very easy and lightweight. These products are designed by professionals are tested at each and every stage of developments. The offered range is checked on various quality parameters before final dispatch in the market and is widely acclaimed amongst variegated customers. The offered range is made by using quality material. Looking for Frame Hanger ?